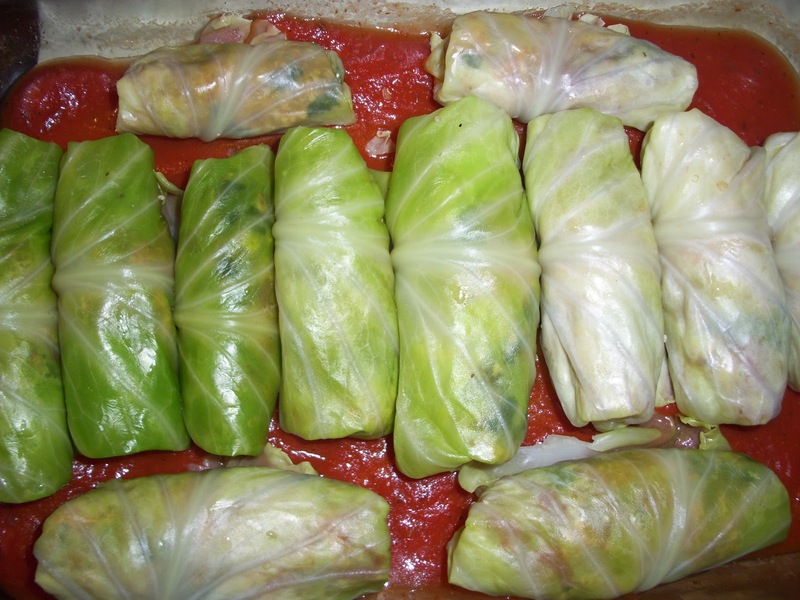 I’ve never had REAL cabbage rolls before! And until now I never cared to. I remember seeing a recipe for them that Hungry Girl did awhile back but it just didn’t sound appetizing to me. She lost me somewhere between grape preserves, cranberry sauce and tomato paste. Recently though I came across a recipe that sounded really good! It of course was not Vegan but it was what is considered a “Clean Eating” recipe. Eating Clean is something that I’ve been striving to do (in not so many words) for a long time! It’s something that I now do as a Vegan too. Eating Clean can best be defined by Tosca Reno as consuming food in it’s most natural state, nothing processed. So for me, this means all fruits, vegetables, lean vegetable proteins(tofu, tempeh etc. ), legumes, whole grains and essential fatty acids. I’ve said it before and I’ll say it again, “Just because it’s Vegan, doesn’t make it healthy!”. There is this huge misconception that all Vegan food is good for you. That is so far from the truth! Example: Potato chips. They’re Vegan. Are they good for you? Nope. See what I mean? Think about it! 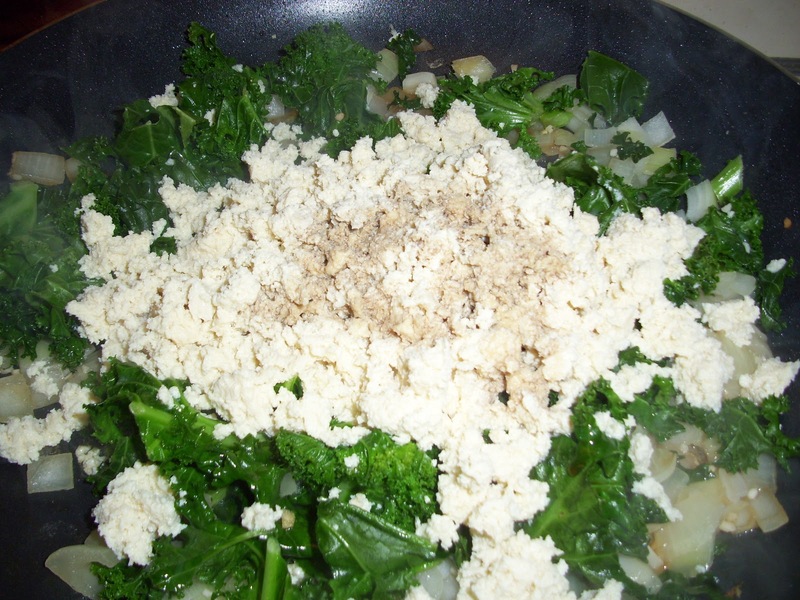 When you make a processed Vegan food and remove the animal products, you HAVE to add something back in it’s place. Usually that means fat from oil and/or sugar. So read labels, my friends. Or better yet, avoid the package all together!! Go natural whenever you can! Now, back to this recipe I found. It was not only beautiful on the plate but it made everyone’s mouth happy! These will totally kill your Italian food craving and won’t leave you feeling weighed down like other pasta dishes do. 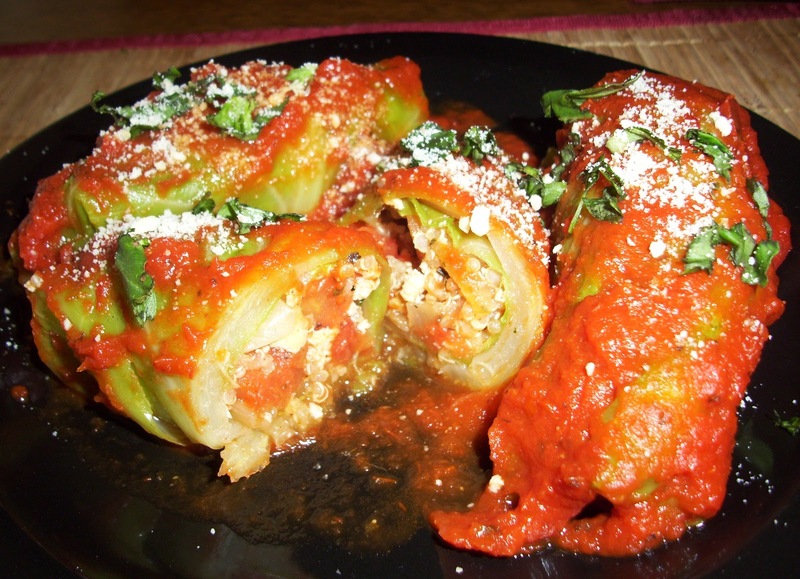 They’re like yummy Italian meatball filled packages with luscious marinara and fresh basil on top. And the ground cashews truly mimic parmigiana cheese so if you haven’t tried THAT before, you must! Creativity is always something I encourage around here. Feel free to take these recipes and make them to suit your families needs. This is about getting everyone on board through their stomachs! Some people don’t care for cabbage. Maybe try collard greens instead! You could even put an Asian flare on these by doing brown rice, crumbled Nori sheets with stir fry veggies and low sugar sweet and sour sauce! Make them your own and enjoy! 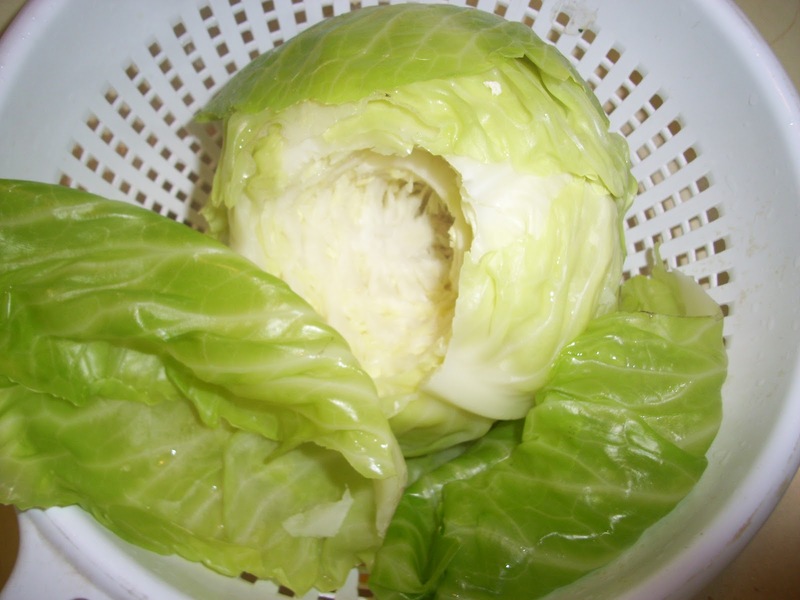 Place the entire head of cabbage in a steamer and steam until cooked through. The head should be easy to pierce with a fork. If you don’t have a steamer, you can always boil the cabbage head. 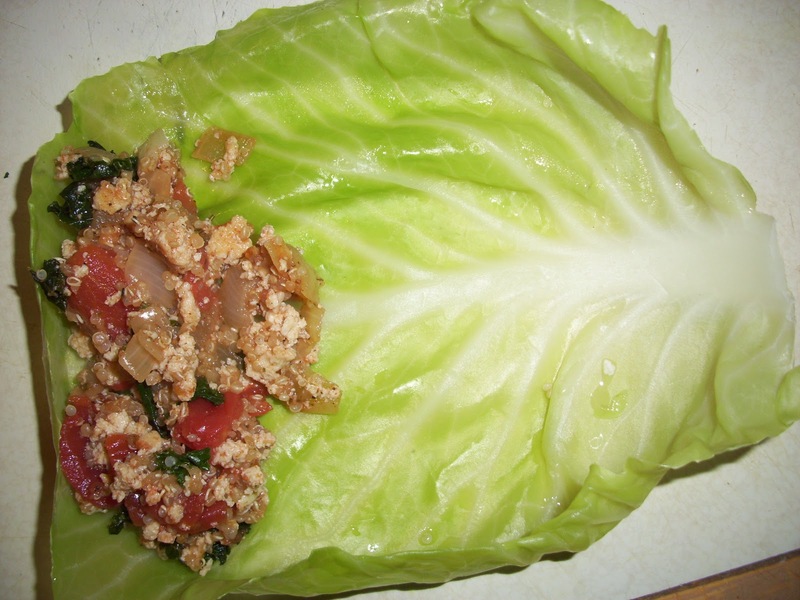 You may have to remove half the leaves if it’s a large cabbage to ensure all the layers get cooked. Once cooked, set aside until it’s cool enough to handle. 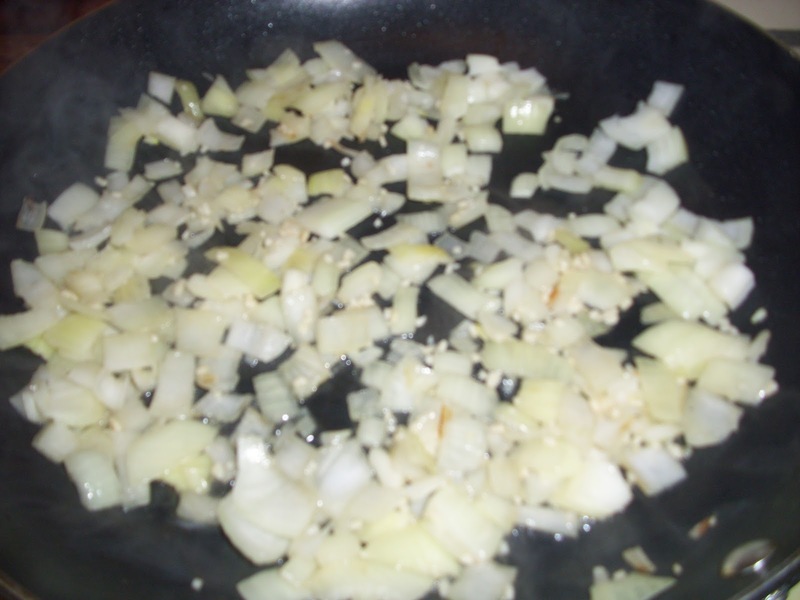 In a large pan, saute the onions and garlic until onions are translucent. Adding water to prevent sticking as needed. 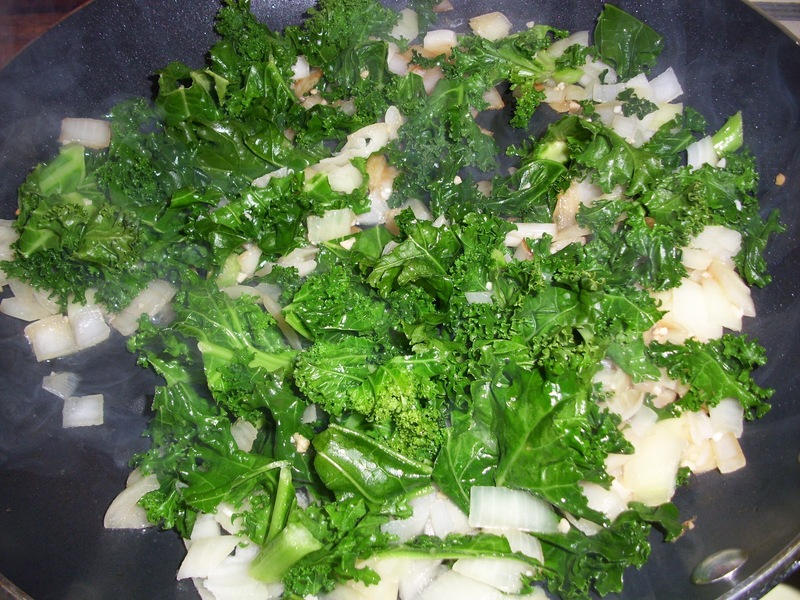 Add the kale and continue to cook until kale is just steamed. 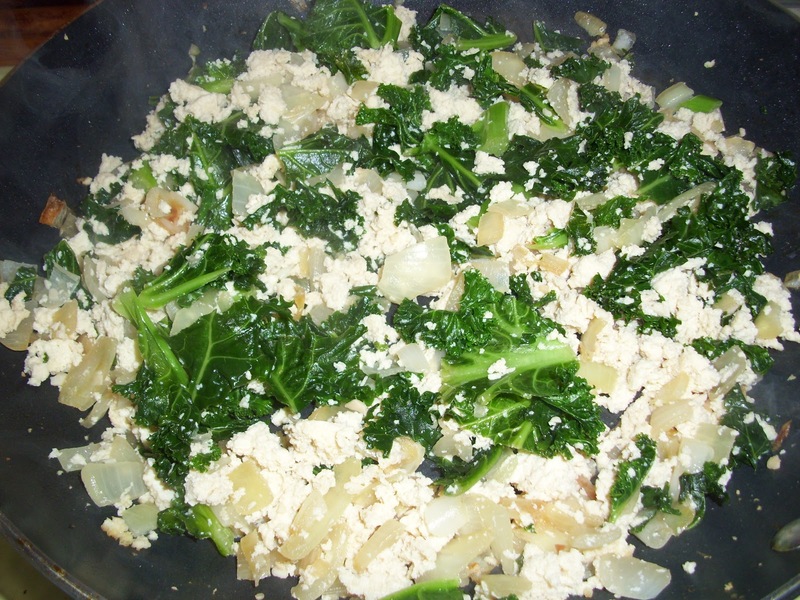 Then add in crumbled tofu and Braggs liquid aminos, stir frying until lightly browned and water is evaporated. About 7 minutes. 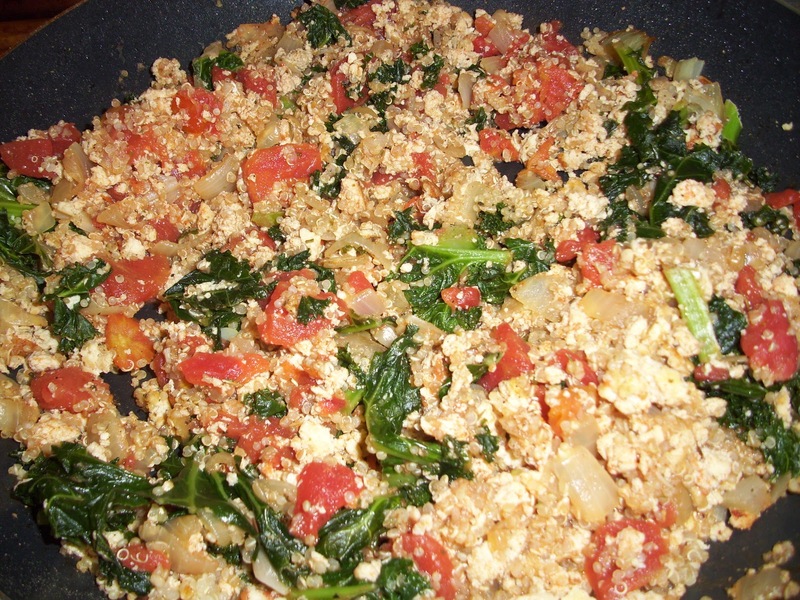 Then add in all the spices, nutritional yeast, diced tomatoes, quinoa and mix well. Set aside. Now remove the leaves from the cabbage head making sure the leaves remain whole. 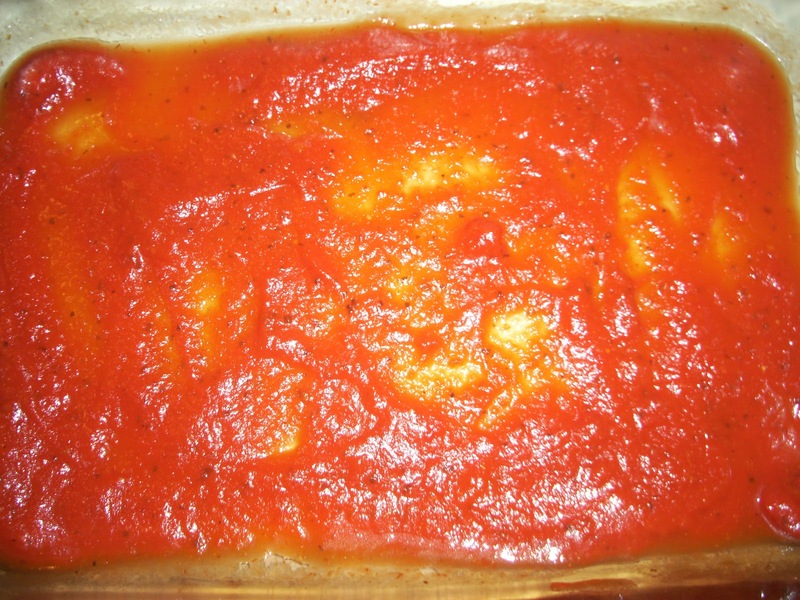 Take a 9×13 casserole pan and pour enough marinara in the bottom just to cover. 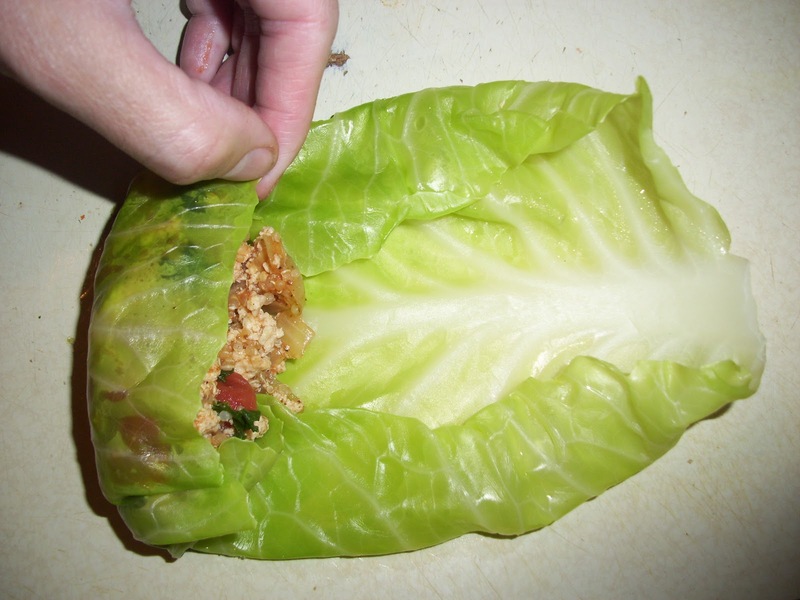 Spoon approximately 1/4 cup of filling into each cabbage leaf and roll up like a burrito. 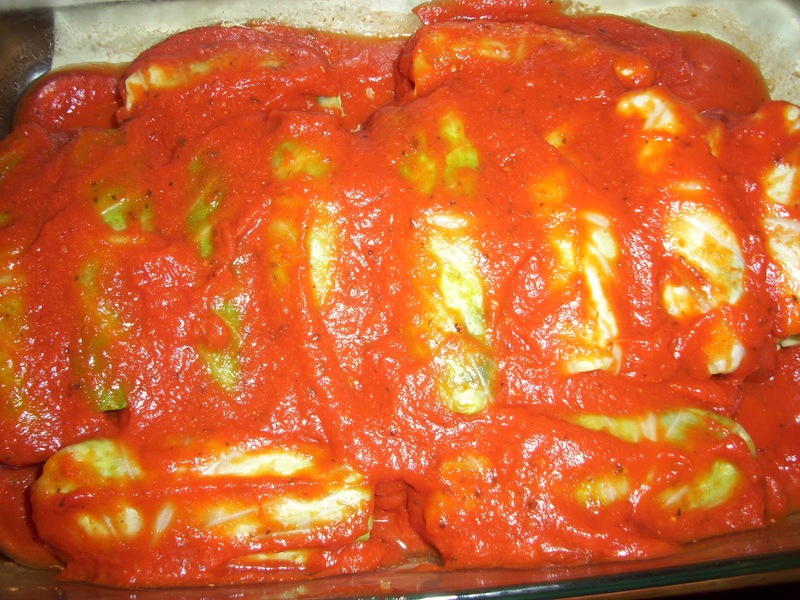 Place each roll into the marinara in the casserole dish. Continue until all the filling is used and/or pan is full. You may have enough for an additional pan. I made 12 rolls and was able to snuggly fit them in the pan nicely. Once your pan is full, top with remaining marinara. Bake in the oven uncovered, just until heated through. About 15 minutes. 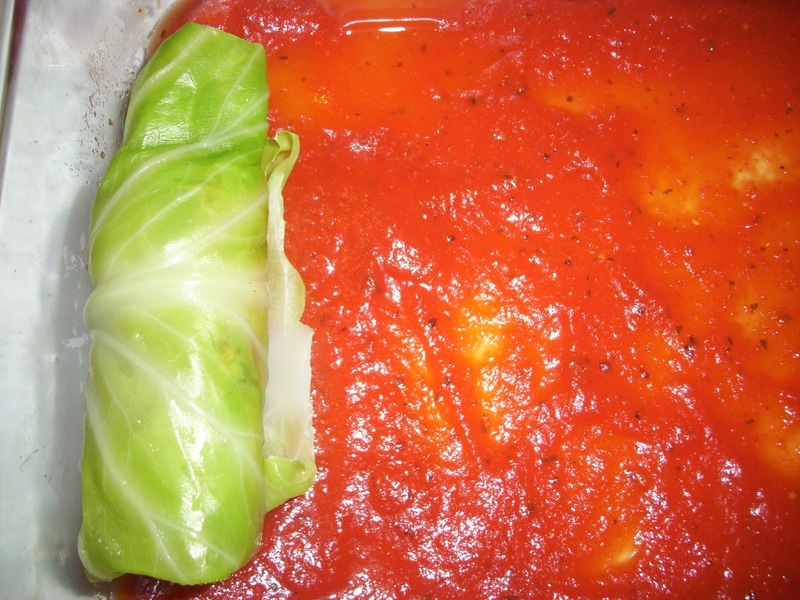 Everything is already cooked through so you just want the tomato sauce to meld with the rolls and get a bit bubbly. Once it is, remove from oven and allow to cool a bit before serving. Spoon out rolls onto a plate and top with additional sauce and fresh basil and cashew parm before serving. I made this recipe last week! Thank you for sharing. My husband loved it and it was toddler approved also. I used purple cabbage and it was delicious!! !